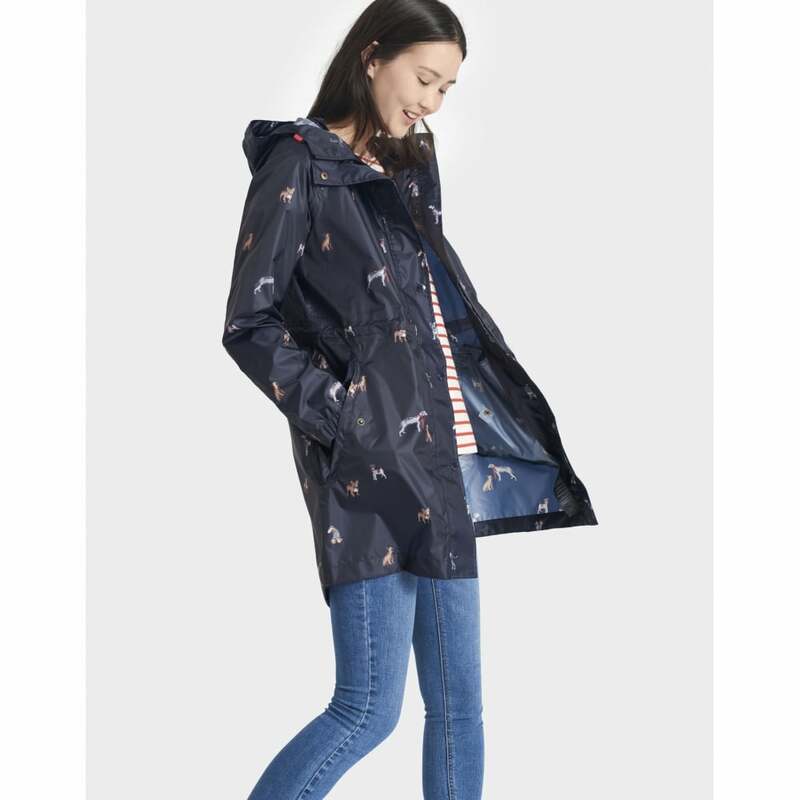 Designed in a range of Joules prints this pack away parka is perfect for a rainy day. This waterproof has an adjustable hood to keep the rain out and a drawstring waist gives it a nipped in waist. This parka is perfect for stashing away in a handbag for when the British weather takes a turn for the worse!